Below are pictures of Ceasar and Madeline's puppies born December 5, 2004. "Roscoe", at the right in the top photo, has gone out to his new home. 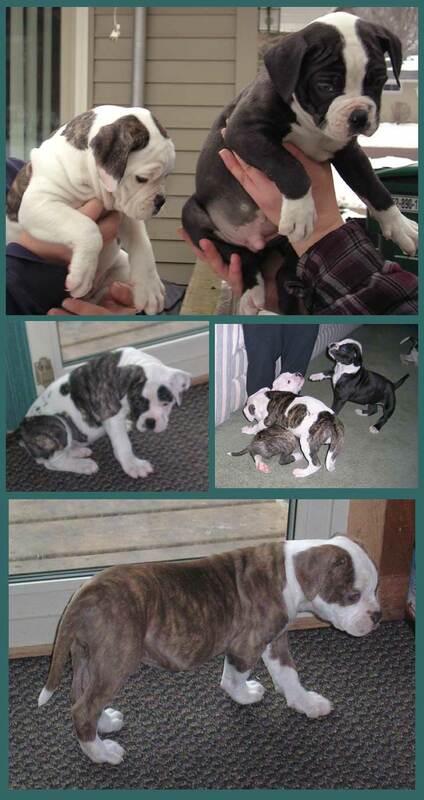 The rest of this litter of American Bulldogs have also found homes. Back to page 1 of these puppy pictures.